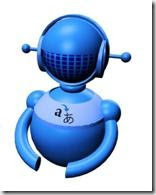 The Microsoft Translator team released a new translation bot for Windows Live Messenger. This Messenger bot does translations for you. Just add mtbot@hotmail.com to your contacts and start chatting. You can have one-on-one conversations with the bot, or you can invite a friend and chat in different languages with the bot translating for you. 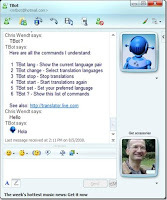 You can also access Windows Live Messenger on your smartphone to use the bot to translate simple sentences while you're traveling to other countries.